UrbanPromise taught me to live outside of the box, and to pursue my dreams. 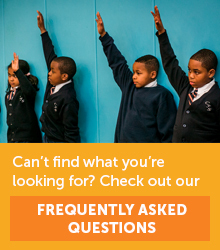 For almost twenty years, CamdenForward School and UrbanPromise Academy have been challenging students to strive for academic excellence, develop a lifelong love of learning, and become moral and structured individuals able to meet the challenges they will face in life, while at the same time, fostering a Christian world view. We have been doing it successfully: our students boast a 100 percent graduation rate with more than 90 percent going to college, and an daily attendance rate for all schools of 95%. The journey begins in Kindergarten, continues through elementary school, middle school and high school but it does not end with a cap and gown. We believe that we must develop the whole student through innovative instruction, experiential and expeditionary learning, service learning, and leadership development. As a community of learners we promote an interconnected view of knowledge with a curriculum that prepares students for higher education and for life. We provide a legacy of hope and fulfilled promise. Each of our students is a child of God and a privilege to educate and each deserves every chance to realize his or her potential. Throughout their K-12 journey, our students have many opportunities to spark their curiosity and challenge their intellect. 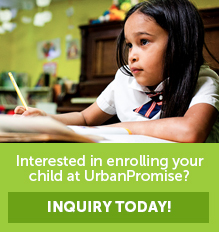 These opportunities help make an UrbanPromise education transformational. They can grow a garden full of vegetables and learn how to cook them by a professional chef; chart the amazing migration of Monarch butterflies; build a boat and paddle it through local waters, design a robot; mount an art exhibit at a local gallery, present and defend a hypothesis at a science fair, join a book club or maybe a Bible study… they can and do climb mountains. They learn, too, that they can move mountains. As a Christian school, we emphasize the value of serving God by serving others, and service begins with respect: respect for our fellow students, our teachers and administrators and for ourselves. In doing this we honor and serve God by creating a caring, supportive and safe community free from discrimination and rich in kindness, love and faith. Our students learn how to face obstacles and resolve problems. Every individual deserves dignity and respect and this belief is visible at our schools. We have implemented a restorative disciplinary program in our upper grades, facilitated by local law students, that allows students on both sides of a conflict to be heard and for mediation to occur. Students learn about fairness and justice by actively participating in the process. These strategies serve them well inside and outside the classrooms and they are prepared to be good citizens and good role models serving their communities. 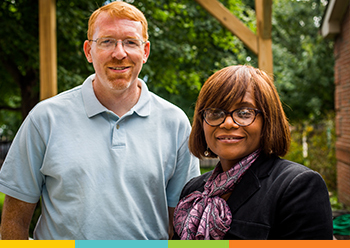 CamdenForward School and UrbanPromise Academy were built on a powerful partnership of Christian faith and academic rigor, serving and supporting all students who come here to learn and grow. We welcome you to contact us and learn more about our schools and how a private Christian education is an affordable choice in Camden. ©2008 - 2015 UrbanPromise. All rights Reserved.